But Levesque does more than just fish his 31. 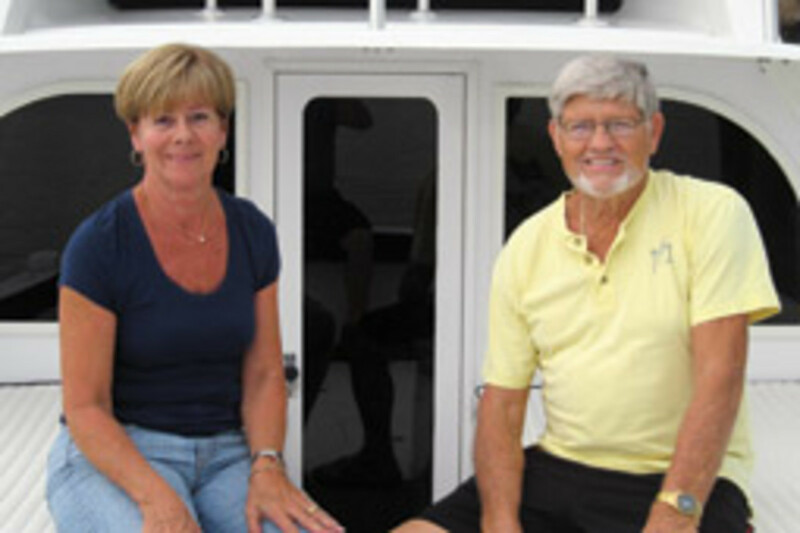 Thanks to an extensive redesign and rebuild — what’s called a makeover in reality TV parlance — he and his wife, Carol, enjoy the cruising life, too. 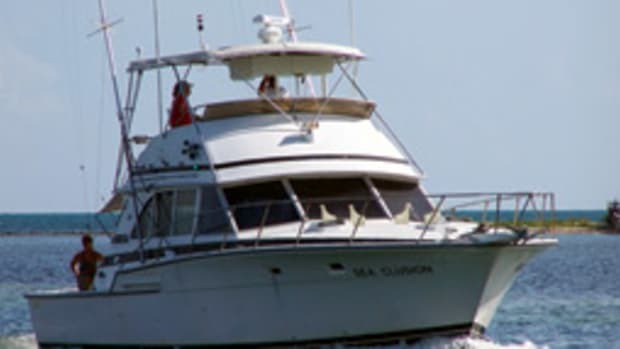 The boat can just as easily spend a weekend at the South Seas Plantation Marina in Captiva, Fla., as take the guys out fishing 40 or 45 miles offshore. Redone is an understatement. 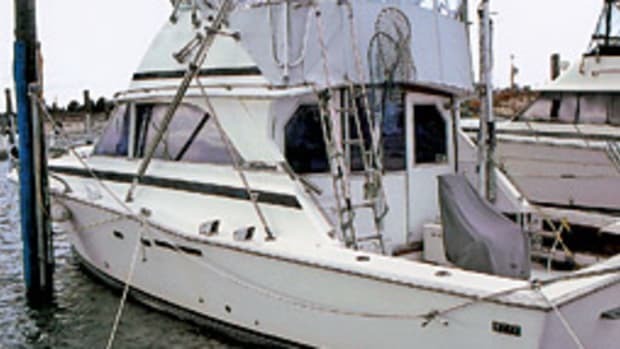 Levesque bought the 31 SportFish, a former Virginia Beach patrol boat, for $30,000 in 2003. “I probably have $250,000 in it right now,” he says. The main cabin, opened up without the helm station, now has a comfortable L-shaped sofa and a bigger galley area. The marine head is tucked away under a folding seat. The design, says Levesque, added significant space and headroom. Amenities include air conditioning, new cabinets, plastic-teak flooring and new fixtures throughout. “It’s the biggest 31 you’ve ever been in,” he says. 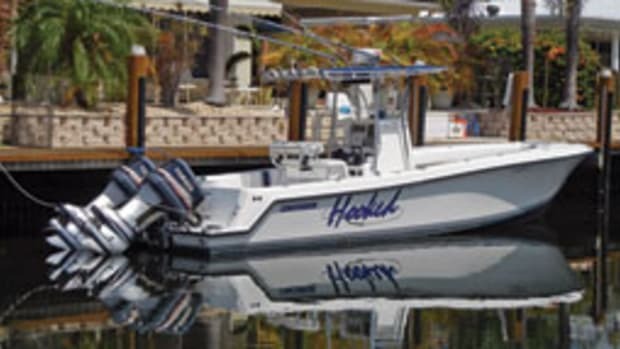 On the exterior, the side windows and aft bulkhead were redone, and the old windshield area was glassed over, giving it a convertible sportfisherman look. 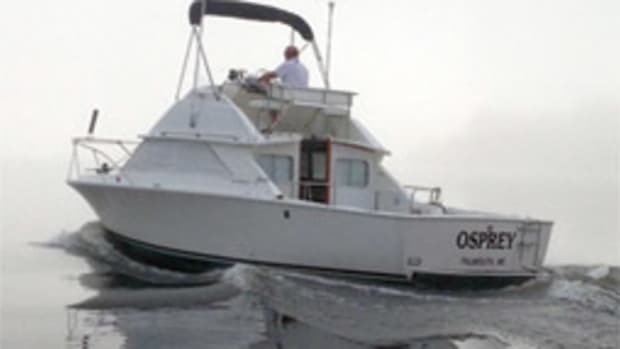 Power comes from a pair of 350-hp MerCruiser 454s, rebuilt by Bill Spradlin at Bernie’s Auto and Marine Service in Largo, Fla. Top speed is 40 mph, but Levesque says he usually cruises, or “lopes along,” around 25 to 27 mph to get the most from his fuel. That puts his favorite fishing grounds within an hour or two, at most, from the beach. The popularity of the Bertram 31 — one of the best-selling U.S. production boats of all time — starts below the waterline with designer Ray Hunt’s deep-vee hull (23 degrees of transom deadrise) and lifting strakes. This helps give the boat the rough-water handling serious anglers admire. 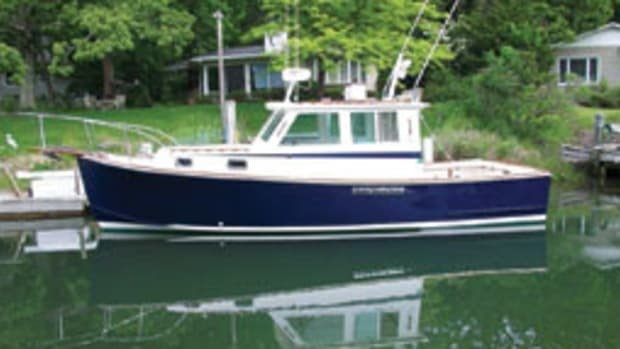 Bertram was also a pioneer in fiberglass boatbuilding, and the 31 is sought after for its solid construction as well as its fishability. The look remains contemporary, with the swept-back, wraparound windshield and clean lines. 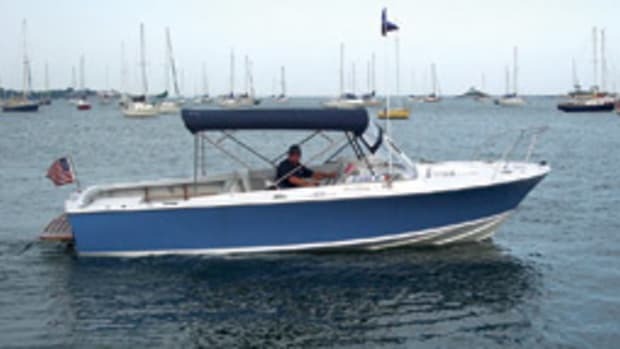 Several variations of the 31 were offered through the years: Flybridge Cruiser, SportFish, Bahia Mar, Express, Moppie and Sedan. The Flybridge Cruiser (1961-1983) — among the more popular models — has a head compartment and a small galley, including a sink and under-counter refrigerator, to starboard, a dinette to port and a V-berth forward. 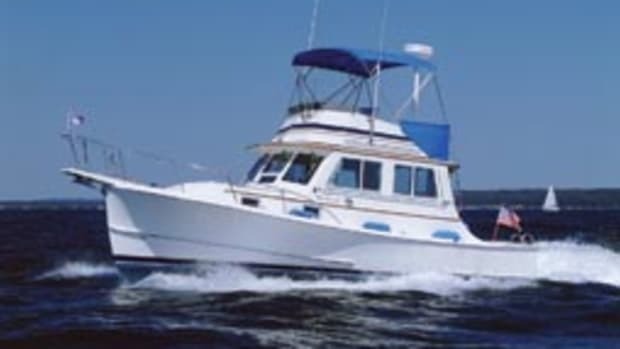 The SportFish (1961-82) adds a lower steering station, moving the head forward under the V-berth. It has a similar galley to starboard and dinette to port. The cockpit, with the familiar engine boxes just abaft the cabin bulkhead, is large and uncluttered, with room for a fighting chair. The compact flybridge has excellent sightlines. 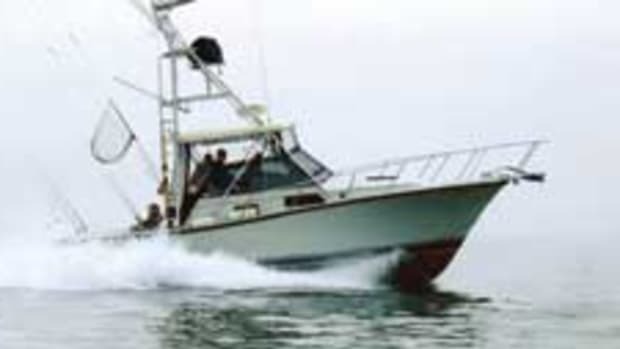 The Bertram 31 debuted in 1961 and quickly became a world-changing boat, thanks to its Hunt-designed deep-vee hull, which gave it an edge in rough water over its contemporaries. 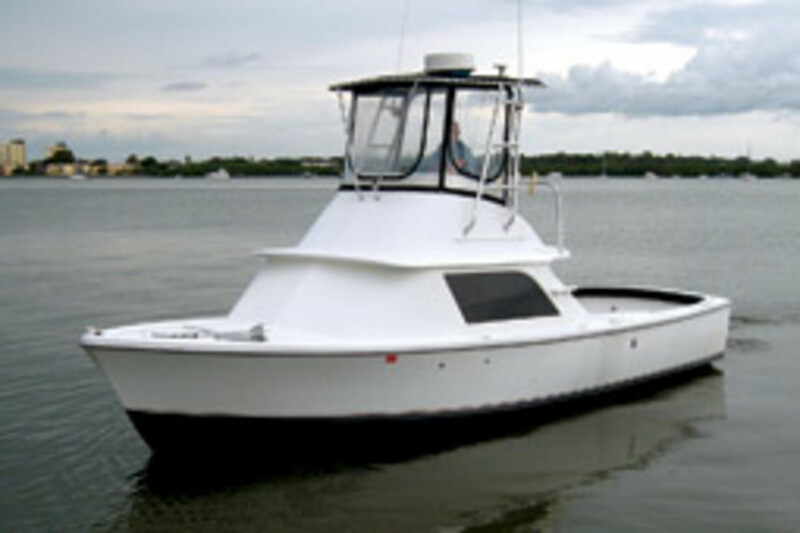 Its seakeeping, along with fishability and solid fiberglass construction, kept it in production for more than 20 years, and more than 2,000 were built. A “Silver Anniversary” edition came out in 1986. Following financial troubles caused by the early 1990s luxury tax, Bertram Yacht was purchased in 1998 by the Ferretti Group, and today produces a fleet of high-end luxury sportfishing boats. Prices for used Bertram 31s vary widely. Restored models run up to $150,000 to $175,000 and up. Older boats needing TLC can be had for as little as $20,000 to $40,000. Keep in mind that old 31s might have fiberglass fuel tanks and that’s an Achilles heel because the boats have lasted so long. The ethanol in gasoline can cause older fiberglass tanks to fail.